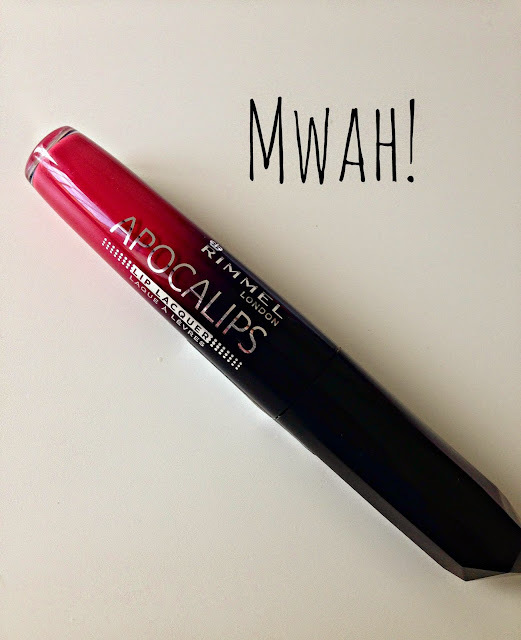 Rimmel Apocalips in Aurora Review! Over the years of starting this blog I've never tried to hide the fact that I do love a good bargain. There's nothing better than popping into your local Poundland/Poundworld to stock up on bleach and scrubbing brushes and end up leaving with £10 worth of make-up goodies! Surely everyone can agree with that?! Well last month I did just that and whilst on my way to the cleaning aisle, I managed to nab myself a LOAD (6 items really) of Rimmel goodies (haul here). Amongst all these goodies, I managed to get my hands on Rimmel's Apocalips lip lacquer in Aurora which I was super excited about! I had reviewed the shade Luna all the way back in 2013 (review here) and after loving the formular and colour, I was eager to try the other shades in the collection. 2 years later and I'm finally doing that! As you can see from the pictures below, Aurora is a gorgeous mixture of red and pink with a undertone of a bit of coral. Perfect combo! The formula is obviously the same as Luna so I knew what to expect from it. Although it looks super glossy it's not sticky and actually quite wearable as it doesn't feel heavy on the lips. The formula is extremely long lasting and can withstand a good few hours before needing to be topped up. I'm not sure exactly when I would wear this shade as it's slightly too bright for everyday use but it's a gorgeous colour and it's perfect to keep in my collection incase any special occasion comes up! Obviously I brought mine for £1 but if you can't get lucky at your Poundland, you can pick it up from Boots for £6.49! I saw this at Boots the other day but though it had a bit of a weird consistency but now I'm sold!! I've never thought to look in poundland for brand products- great tip! Oh my gosh, that shade is amazing - no idea when I would wear it, but it looks so cool! Great review! I have seen a few of these in my local shop and I definitely need to nab some! Its a bold colour but reds are always classic! I managed to pick up one of the Apocalips lip glosses(?) cheap and cannot get over the pigmentation! I am far too scared to wear it out of the house but you have got to admit that the pigmentation is just amazing! Wow £1 is such a bargain! 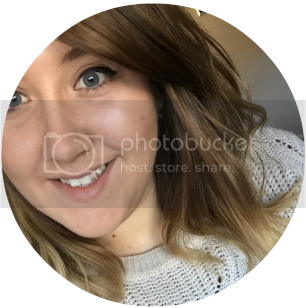 Love the colour I'm following you on bloglovin you have a great blog. That's a really lovely colour! Definitely doesn't have a bad price eather. Thats a great color perfect for summer! Woww, this colour is amazing! Definitely a must-have! Looks great on you! I never would have thought Poundland would have such amazing products! !